The best way to get a good start time is to belong to a team. Join amidnightrider.com for a guaranteed early start. This is our 9th year and we are always in the second group, 7:45 AM. You don’t even have to ride with the team. The five boroughs ride will without a doubt be the best bike ride you have ever done. 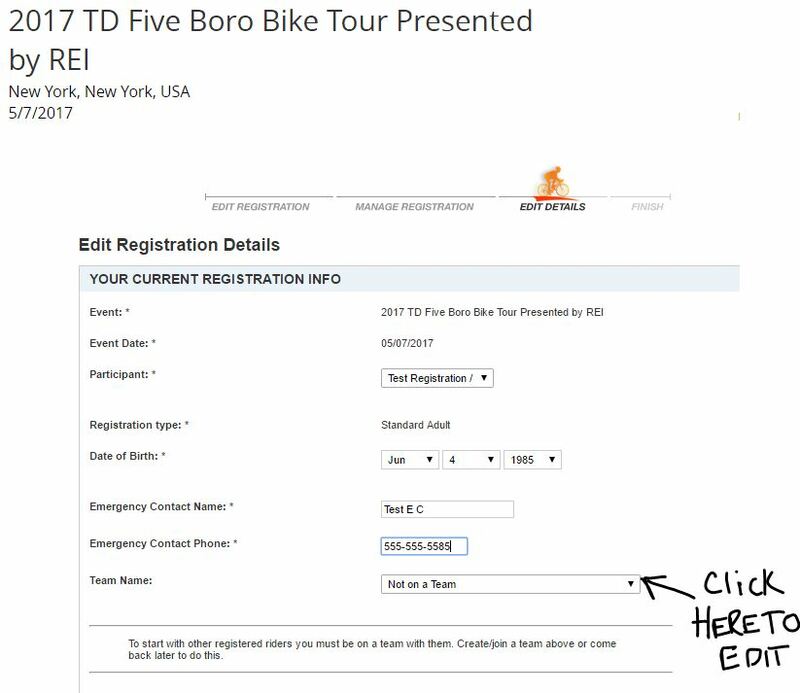 Thanks for registering as a Standard Rider for the TD Five Boro Bike Tour! The deadline to create or join a team is this Wednesday, February 15th. Please click here to view your current team status. Standard riders who wish to start together must be on the same team by this Wednesday. Creating/joining a team is the only way to guarantee that you will be in the same start wave with your friends and family. Click here and enter your confirmation number. Start time assignments will be emailed to all riders in early April. Start waves are permanent once they are assigned. If you are having technical difficulties with your registration, please contact imATHLETE directly at support@imathlete.com. Please let us know if we can be of further assistance. We’ll see you in May!